As a scientist, I don’t feel I have introduced myself properly to the world unless I have gone on a bit about my work. In particular, I am very fond of my PhD work, which was a labor of love, sweat and tears. If you are interested in a more extensive version of this post, it can be found here – the whole scientific paper can be found here. I started my proper scientific career as a cancer biologist. Cancer kills over 8 million people every year: what makes it so deadly is its ability to spread from the organ where it originates to the rest of the body. This is a process known as metastasis, which is one of the most intricate phenomenons in medical science. Once cells have invaded the tissue surrounding the original tumor, they usually find a way to enter blood vessels located nearby. They are then transported all over the body by the blood flow, until they find a way to exit the stream and grow again in a completely different organ to form a secondary tumor. For example, skin cancer cells can make their way to the lungs or the liver and breast cancer cells can end up in the brain or in the bone. The idea behind my PhD project was to identify the molecular pathways that drive the conversion of cancer cells into their highly metastatic form. I worked mainly in melanoma, which is a form of skin cancer that is particularly aggressive and therefore a good system to study metastasis. However, the idea behind any of these studies is to identify molecular mechanisms that can be applied across different types of cancer. The main finding of my PhD is that a molecule known as TGFβ drives melanoma cells to be more metastatic. TGFβ is produced by both cancer cells and other cell types that are present around the tumor and that are not malignant. 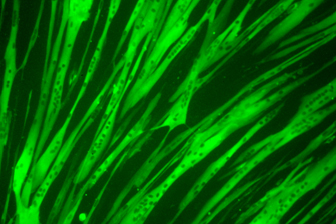 For example, it is produced by fibroblasts, which are the “building” cells in tissue that produce collagen fibers and stimulate growth. 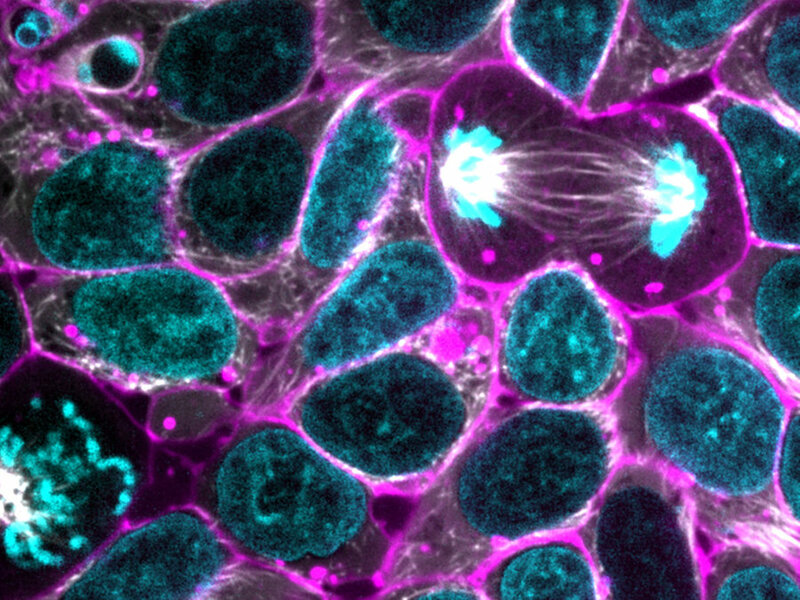 While these cells are not part of the cancer itself, it is possible that their TGFβ production might be hijacked by cancer cells to increase metastatic potential. We have subsequently focused on the mechanism through which TGFβ changes cancer cells. We have discovered that it does so switching “on” a specific set of genes. All cells in the body have the same DNA, which is unique for each individual. However, different cells in different organs switch “on” or “off” different parts of that DNA (which are known as “genes”) to allow them to fulfil specific functions. For example, a muscle cell and a skin cell look and act very differently because different genes within their DNA are switched “on”. Healthy and cancerous cells alike are driven by what genes within their DNA are switched “on” and “off”. TGFβ stimulation switches “on” a set of genes within the DNA of cancer cells, which changes their basic blueprint and makes them more able to more quickly and therefore more metastatic. We have found that this process is dependent on a molecule called CITED1, which switches genes “on” after the cell has been activated with TGFβ. Interestingly, we have found that melanoma patients that produce a lot of CITED1 have a lower chance of survival than patients who do not. This suggests that the effect of TGFβ on cancer cells plays a crucial role in how melanomas metastasize and therefore on the chances of patients to survive.